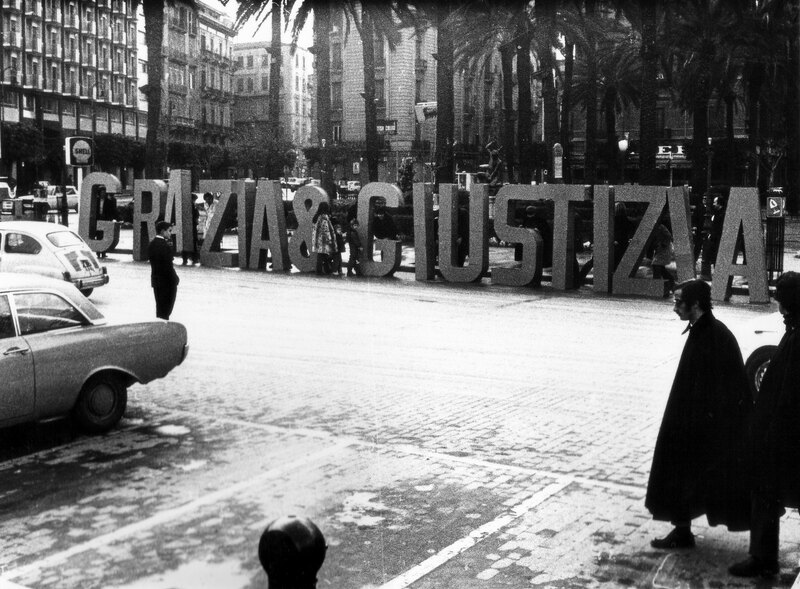 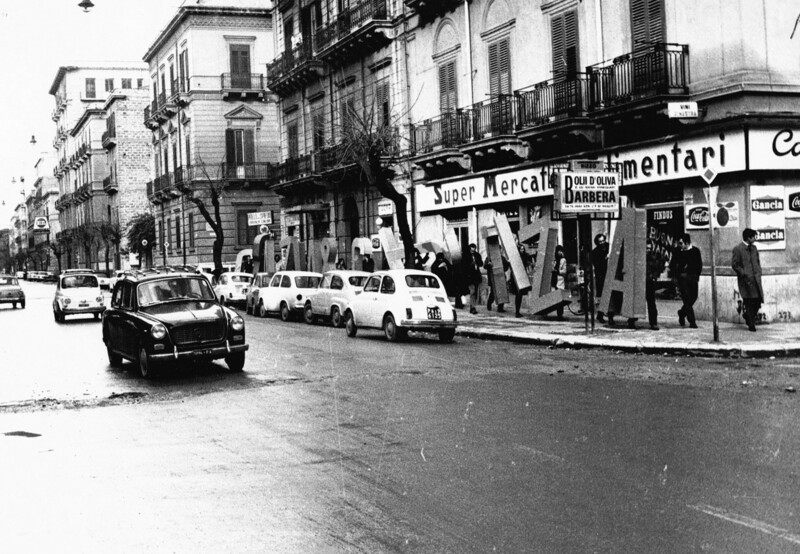 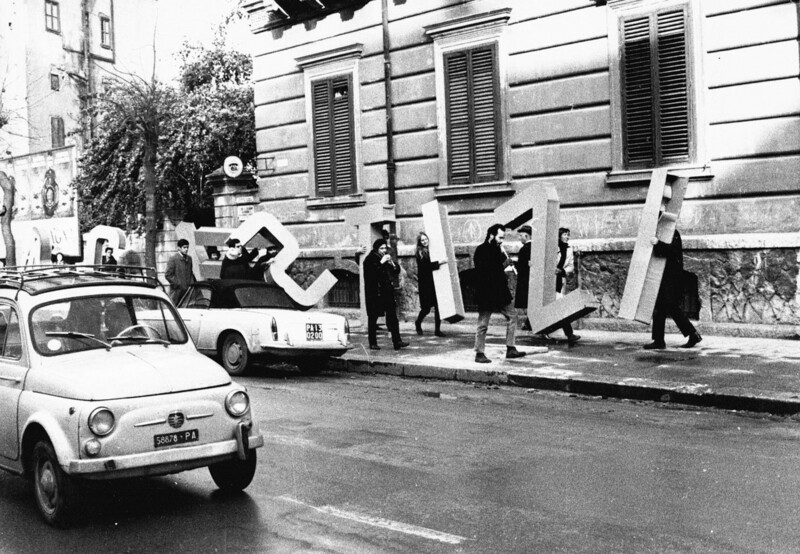 Grazia & Giustizia concluded the trilogy of full-scale installations holding a contextual dialogue with the city, in which words, constructed deliberately out of cardboard, a perishable material, ended up self-destructing. 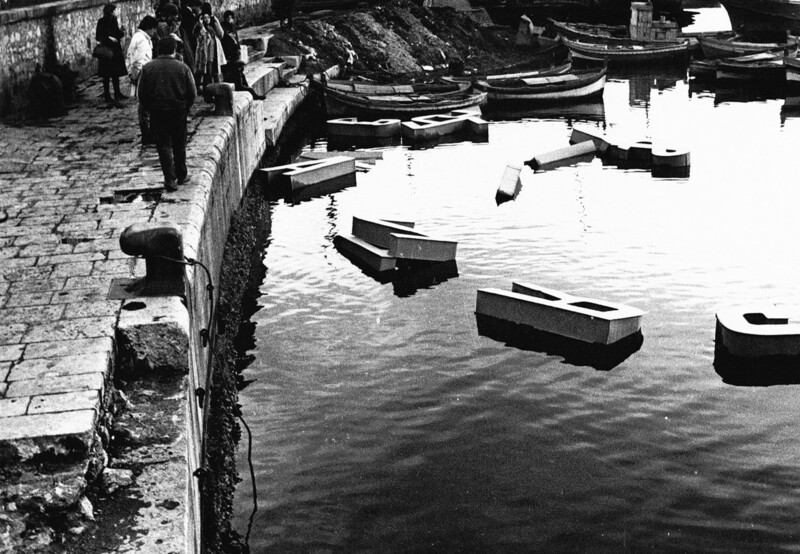 In this case, however, the destruction was intentional: the large letters were carried in a long procession to the sea and, accompanied by the musicians of the group Musica Elettronica Viva, playing as if at a funeral in New Orleans, were thrown into the water, where they slowly became soaked and sank. 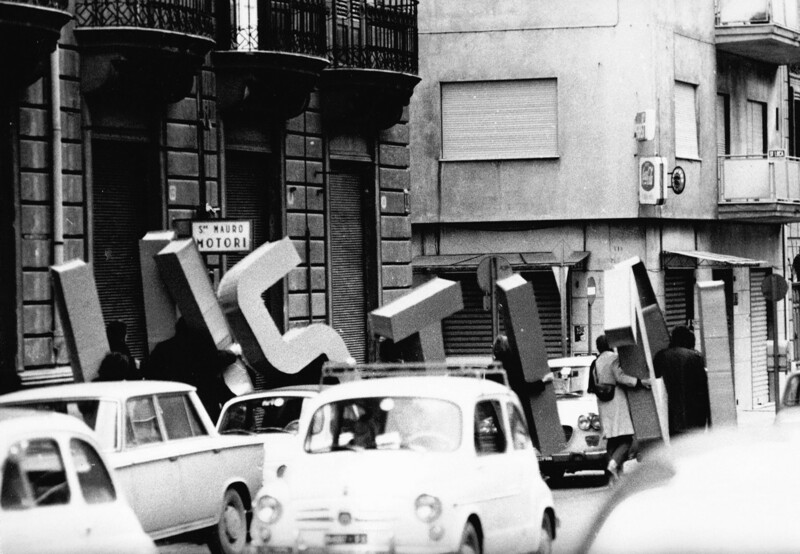 The trilogy was also a reflection of the desire to transcribe thoughts in terms of slogans, typical of the student revolt in May 1968; the desire, expressed but to no effect, to spell out an ideological position, to signal the intention to take a stand, even as operators in the field of architecture. 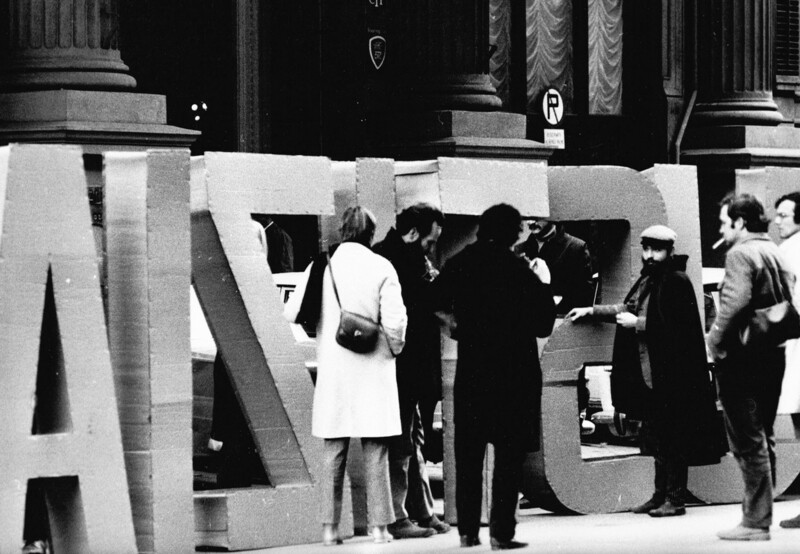 And so these three inscriptions took on gigantic dimensions, invading the architecture, conversing with the architecture, limiting its meaning. 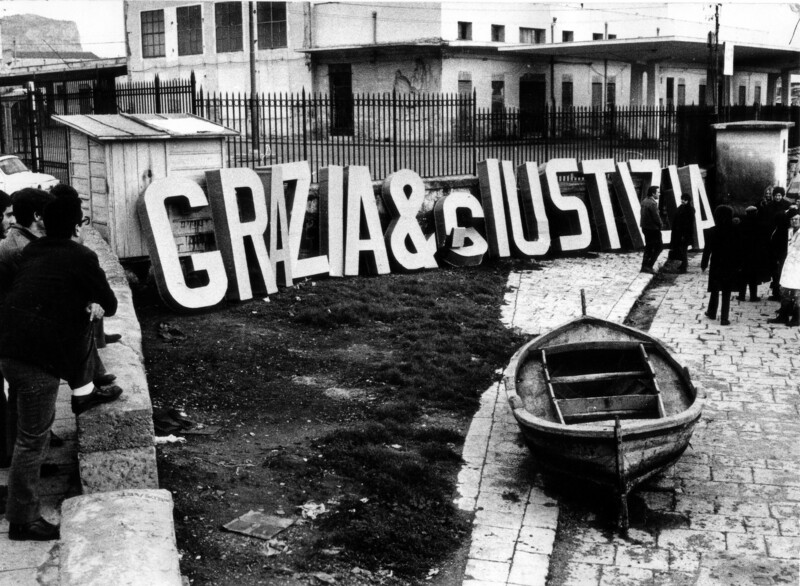 The preexisting architecture just served as a backdrop to the phrase that was in itself a stereotype (in Italy the ministry of Justice was known at the time as the ministero di grazia e giustizia). 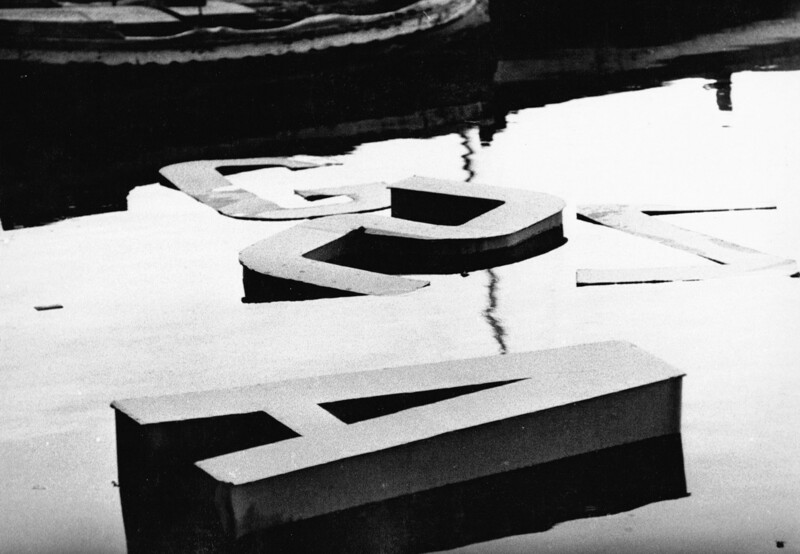 Its huge size and the use of the commercial “&” gave it a different, critical and ironic value.